Trailhead is on Ponemah Hill Road in Milford, NH. Ponemah Road leaves Rt. 101A 1.2 miles west of Rt. 122 and 1.3 miles east of Rt. 13. The parking area is 1.6 miles down Ponemah Road, on the west side. Look for a gated access road. Federal Hill is a small hill bearing one of NH's sixteen active fire towers. The summit is reached by a very short hiking trail. 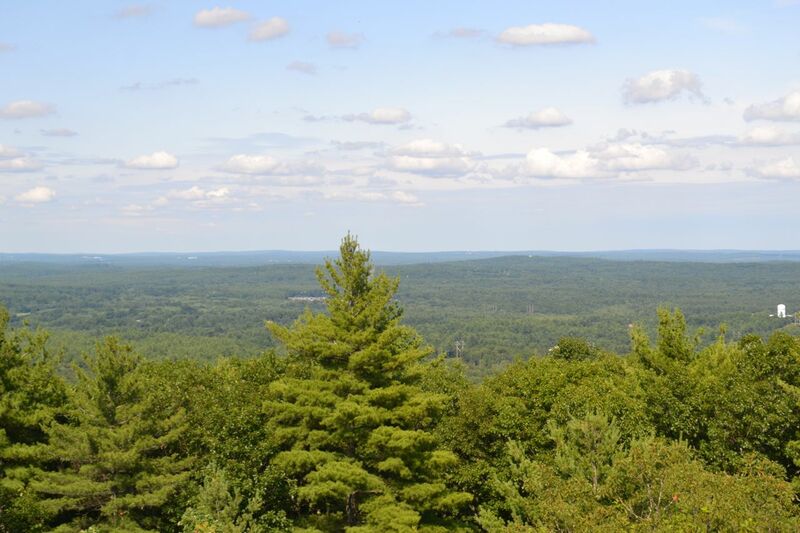 From the tower, there are limited views of the Wapack Range and the surrounding area. From the parking area, walk down the access road for 0.1 miles and take a left onto the unnamed trail, which leads to the summit in about 0.2 miles. You can return on the access road if you want to make a loop.